Emmanuel Macron’s election to the French presidency provides the European Union with an opportunity to move past the internal conflicts that have hastened its disintegration. Rather than standing exclusively with the old elites or the new populists, Macron has promised to rally broad political support under the banner of European reform. But can he really breathe new life into an ailing project? When Macron met with German Chancellor Angela Merkel, he offered a plan for ending the cold war between northern and southern Europe – which is to say the tension between advocates of austerity and those in favor of growth policies. And when he meets with Russian President Vladimir Putin this week, he could find a way to bridge the divide between the EU’s eastern and western flanks, which want, respectively, to contain and engage Russia. Likewise, Macron has tried to reconcile the idea of a welcoming Europe with advocacy of a fortress Europe. He wants to take in more refugees, while urging the EU to create a border force of 5,000 soldiers, and to accelerate repatriation of illegal migrants. But while many EU leaders were relieved to see Macron elected, it is often because they hope he will give a new lease on life to the old project, rather than a radical break with the past. 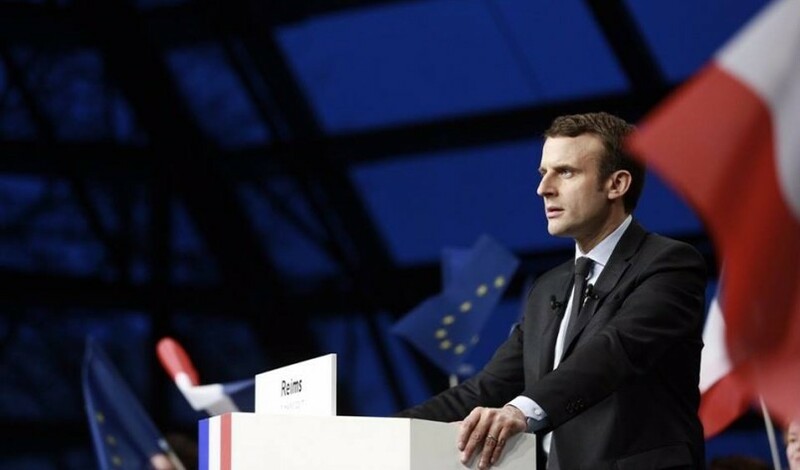 To bring true change, Macron will have to transcend the two contradictory but mutually reinforcing political models that have defined the last decade of EU governance: technocracy and populism. Technocracy has been a central feature of European integration from the beginning. Jean Monnet, the French economist who is considered one of the modern EU’s founders, was renowned for his ability to turn big political conflicts into smaller technical issues. This method was highly successful during the post-war period of European reconstruction, because it allowed diplomats and officials from different countries to bypass national disagreements or lingering resentments and address the continent’s most pressing problems. But, over the years, EU policy discussions have departed from Monnet’s model. They now tend to be disconnected from national politics altogether, driven as much by the logic of EU institutions as by member states’ needs. Moreover, EU-level decisions have been pickled into rigid codes to which member states must adhere, even if their governments or electorates do not support them. Together, these trends have fed the widespread perception that there are no alternative forms of EU governance, and that Europe is being run by elites who have little concern for the interests of the people they are supposed to be serving. The populist explosion in recent years is a natural reaction to this disconnected form of technocracy. It is no accident that leaders such as Marine Le Pen in France, Geert Wilders in the Netherlands, Viktor Orbán in Hungary, and Nigel Farage in the United Kingdom have all posed as tribunes of the “people.” Through referenda – their favorite political tool – they have been able to inflict damage to the EU constitutional treaty, the EU-Ukraine Association Agreement, refugee-repatriation deals, and, with the UK’s Brexit vote, the composition of the EU itself. As European technocrats have pushed for covert integration to resolve the euro and refugee crises, the populists have struck back even harder. And every time populist-driven referenda against EU treaties force governments to retreat into technocracy, the populist narrative is reinforced. The UK’s Brexit negotiations have already become a battleground between technocrats and populists, with each side vying for an outcome that will support its narrative. When British Prime Minister Theresa May says that she wants to “make a success of Brexit,” she sets off alarm bells in Brussels and other European capitals, because such an outcome could inspire populist anti-EU movements elsewhere. It is understandable that European leaders would latch onto Brexit as the one thing EU member states can agree on. But, unfortunately, the Brexit debate tends to bring out EU elites’ worst instincts, not least because it encourages them to fight for the status quo, rather than for reform and innovation. If the EU continues to look inward, consumed by the questions posed by Brexit, the next five years will be as sterile and unproductive as the last. The big question now is whether Europe can accept the lifeline that Macron is offering, and look forward to a new project, rather than backward to old struggles. To be sure, many observers have poked fun at Macron for refusing to commit himself to one side in any debate. And satirists have pointed out that he starts almost every sentence with “en meme temps” (at the same time). But for a long-gridlocked EU, Macron’s proposed grand bargains could offer a valuable way forward – one that relies not on institutional changes, but on political trade-offs. Macron’s security policies try to square tough anti-terrorism measures with a more humanitarian approach to refugees. On economic policy, he has offered reform in exchange for investment. And, given his tough stance on Russia and support for action in Africa and the Mediterranean, he might even be able to rally the EU’s southern and eastern members around a common foreign-policy cause. If Macron lives up to his promise, he will not stand for technocracy or populism, but for a genuine third way. That is an admittedly shopworn term. But Macron could imbue it with new meaning if he can combine, rather than accept, today’s false choices. He will have to bridge the EU’s geographic divides, and position himself as pro-European and patriotic, establishment and anti-establishment, open and protectionist, pro-growth and fiscally restrained. Can Macron’s method allow EU leaders to break the vicious circle of technocracy and populism, and end the paralysis of the last decade? For the time being, the only certainty is that – to invoke another hackneyed phrase – there is no alternative. This commentary was originally published on ProjectSyndicate.com on 29th May 2017.